Our wide variety of S-video adapters is guaranteed to provide you better image quality for your video connections. Our S-video adapters mate well with the cables and provide you a seamless video experience. You can easily and safely extend your cables without compromising on the video quality with these S-video adapters. 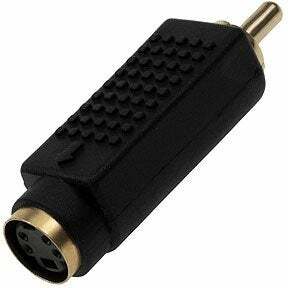 They are available in various combinations of Male/Female to RCA Male/Female and DIN combination adapters. Along with competitive prices, the quality of our products is unmatched. We only sell products from ISO 9001-2000 compliant industries which assures its workability and safety. You also get lifetime technical support on our products.